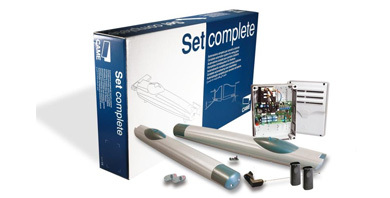 The Came FrogAE-P complete kit - for gate leafs up to 3.5m which can shift a maximum weight of 400 kg. 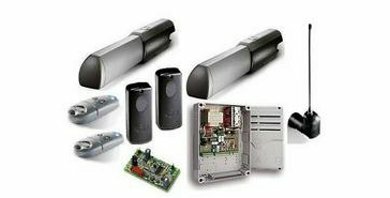 The underground solution for gate automATIon with a 24v motor and built-in adjustable mechanical stops 230v also available. 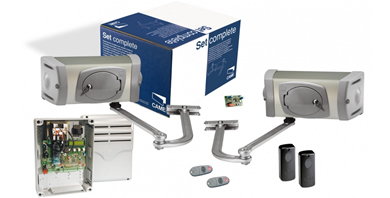 The Came FrogPlus comes in two different versions, the P5 and P7. The FrogPlus can shift a maximum weight of 700kg per gate and 7m per gate, depending on the selected model. 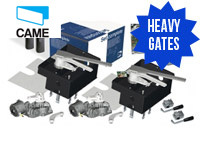 Ideal for powering swing gates of truly large dimensions. 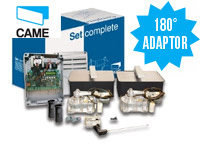 The Came Amico double kit is an above ground twin electric swing gate automATIon system. 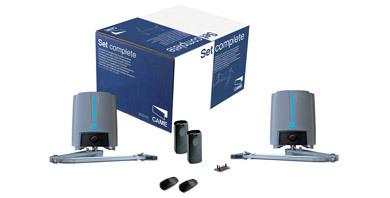 The Came Fast40-P24 complete kit - for a pair of swing gates up to 2.3m per leaf, and gate-leaf weights of a maximum weight of 300 kg with optional battery backup. The Came FerniE P24 - complete kit for a pair of swing gates up to 4.0m / 13ft per leaf, and 400 kg in weight per leaf (depending on width) with optional battery backup. 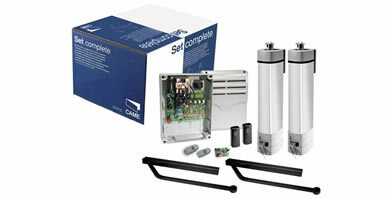 The Came AXO-P complete kit - for a pair of swing gates up to 7m per leaf, 230V A.C. motors. It can shift up to 500 kg in weight and 7m in width. 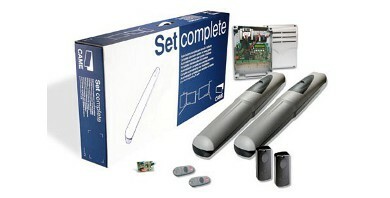 The Came StyloS-P24 complete kit - ideal for double pedestrian/small swing gates up to 1.8m in width and 150kg in weight. Comes in a 24v version with a straight transmission arm. 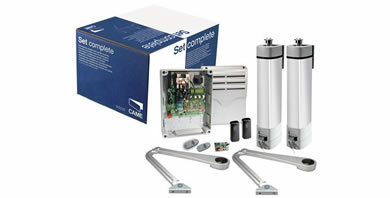 The Came StyloA-P24 complete kit - ideal for double pedestrian/small swing gates up to 1.8m in width and 150kg in weight. Comes in a 24v version with a sleek articulated transmission arm.